Delia and Karina have always been rivals. They compete over everything: grades, popularity, an art scholarship – and Vincent, the most popular boy at Shadyside High. Both girls are determined to have Vincent as a boyfriend, no matter what. But then Vincent ends up dead – with purple lipstick on his cheek. The lipstick is Delia’s, but it was Karina who decided that if she couldn’t have Vincent, she’d make sure that no one else could either. Which girl was willing to kill for love? This book was all right. It wasn’t my favorite, but it also wasn’t bad or left me thinking R.L. Stine needed to take a break to get some better or more original ideas. This wasn’t something he had done before, which I always appreciate, but it was also a lot less interesting or at least “chilling” compared to his other books. Both in terms of pace, what happens, and chapter endings. Vincent is a player, pure and simple. He is dating Karina and Delia, and making them think the other one is delusional if she says she’s going out with him. He’s even dating other girls besides them. (I won’t say who, since that was a fun “What the hell?” when I read it.) There is a big deal art scholarship they’re both going for, and it’s the only way Delia can afford college. Delia is our narrator and she’s interesting enough, but I always felt I wasn’t getting the raw deal from Delia, and as a narrator that can be problematic. Someone seems out to get Delia in terms of the scholarship, wrecking her portfolio, instruments, etc. But that’s really all the “chills” we get until Vincent is murdered, which doesn’t take place until the last forty pages of the book. Karina has gone after Delia, and seems utterly certifiable, but at the same time, she’s pretty obvious as the killer. So the question remains, did she really do it? Or did someone capitalize on her apparent instability? I figured out who the killer was before Vincent was even found dead. I can’t say why, it was just a hunch, but it turned out to be correct. That being said, I wasn’t a fan of how the killer was caught because it just seemed so ridiculous and how it happened was so “out there” that I felt it would have been better to let him/her get away with it. It’s like Stine needed the proper killer to be apprehended, but it was too late, so he made a mad dash in two pages to make sure it happened. Even if it didn’t make any sense. Gretchen Davis and her friends decide that Fear Island is the perfect place to throw a surprise birthday party. You can dance all night, share secrets with your friends, fall in love under the stars… or die. Because there’s a madman loose on the island who plans to spoil the party and kill them all. The birthday girl gets to go first, of course. But who will be next? This was the only book in this post that I had already read years ago. Still, even with a second read this book has an urgent, claustrophobic chill factor and will make you think. Gretchen and her friends Hannah, Gil, Patrick and Jackson throw their friend Cindy a surprise party and kidnap her to take her to Patrick’s uncle’s private cabin on Fear Island. It’s perfect, an all-night party with no supervision and no neighbors to complain about their noise. They have already decked out the cabin with birthday decorations and baked a cake. When they arrive Gretchen’s boyfriend Marco, who she keeps trying to drop, crashes the party. But at least it isn’t the escaped prisoner. Patrick’s dad, who is a cop in the next town over, gave Patrick his gun for protection. Apparently, a prisoner escaped, a man who likes to kill teenage girls, and no one knows where he is. But even after hearing this, Cindy and a few others aren’t worried. It’s party time! Gretchen goes out for some firewood after Cindy opens her presents, and when she returns she finds Cindy dead in the kitchen. Who killed her? Was it Patrick who has blood on his shirt and who all the evidence is pointing to, or was he set up? Was it Jackson, who Gretchen heard arguing with Cindy before she was killed, and who always seems to be watching Gretchen? Because he seriously gives her the creeps… Was it Gil, Cindy’s ex-boyfriend who has been in trouble with the law before? Was it Hannah, Cindy’s best friend and worst enemy? Hannah said she wished Cindy was dead just hours ago. The girls compete for everything and Cindy was just awarded a scholarship she doesn’t need and only went for because Hannah wanted it. And Hannah does need it; her family doesn’t have money like Cindy’s does. Also, Hannah is now dating Gil! Was it Marco, who Gretchen is trying to dump because he seriously scares her? He has a violent temper and showed up with a switchblade… or is it the escaped prisoner. Is he watching them now? Waiting to make his next move? His next kill? Emma and Sydney have been friends forever. Sydney is ridiculously rich and Emma is ridiculously poor. After their shift at the movie theater where they work, they take out some trash and find a bag filled with cash. Around $100,000 worth. Sydney wants to turn it into the police, but Emma’s mother needs an operation and this could mean so many things to Emma and her mother… Emma convinces Sydney to hide the bag and they’ll wait a few weeks. If nothing shows up in the news then they’ll split the money and be in the clear to spend it. 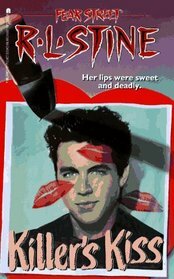 This entry was posted in Book Reviews, Books, fiction, Guilty Pleasures, Reviews and tagged "book review", "r.l. 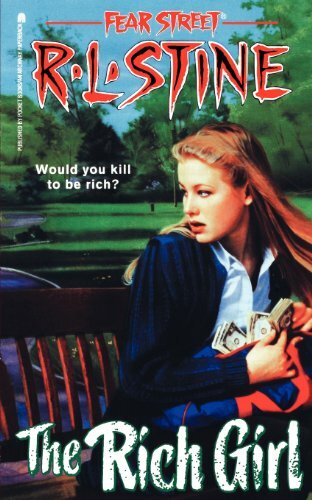 stine", "reading list", “love triangle”, betrayal, book, fear street, framed, friends, guilty pleasure, money, murder, mystery, psychopath, reading, secrets, suspense, Thriller, whodunit. Bookmark the permalink.